Spiritually Transformative Experiences? What the heck are they? There is an organization that birthed itself about 10 years ago, called The American Center for the Integration of Spiritually Transformative Experiences (ACISTE.org). Their mission is to train therapists, psychiatrists, spiritual guides and ministers, and life coaches to support individuals who have experienced realities beyond our 3D reality, and who need assistance to integrate these experiences into their lives. 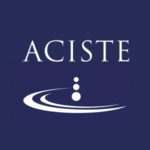 The ACISTE Conference is coming up soon in Chicago – October 2nd to the 8th. You don’t want to miss the outstanding speakers who are specialists in the field of non-ordinary states, the transpersonal, near death experiences and all fields related to supporting experiences to integrate their Spiritually Transformative Experiences in to everyday life. I’ll be facilitating the Life and Spiritual Coach Training at this upcoming conference. If you’d like more information about this training or trainings for Therapists, Psychiatrist, Ministers and Spiritual Guides, please go to ACISTE.org, or email Dr. Rosie Kuhn at rosie@theparadigmshift.com. I’d love it if you’d consider being there! What are Spiritually Transformative Experiences? People of all ages, genders, religions, spiritual traditions and cultures have experienced phenomenon that have been other worldly and extraordinary. Pre-verbal experiences, pre-death of the aged and everything in between. These experiences can happen at anytime to anyone: in the dentist’s chair, during sleep, walking in nature, during an illness, pre-death, near-death, making love, reading a book, and just about any moment, mostly when least expected. Spiritually transformative experiences (STE’s) can be induced by medications and other self-inducing medicines, such as psilocybin or LSD. Individuals who practice meditation and other meditative process can induce these states as well. But the majority of experiences are naturally occurring and spontaneous. As children, some of us experienced the presence of an invisible friend that we could see but other people couldn’t. Children often have non-ordinary experiences, and have learned that it isn’t always safe to talk about such things. There is a continuum of experiences from low impact on our psychies, our physical, emotional, mental and spiritual realities, to high impact, which may require a whole new orientation to the way one perceives the world. The integration and reorganization of one’s reality may take just a small readjustment. For others, it may take a life time to assimilate, integrate and to find compassionate presence with themselves and others, as reality continually reveals its vast potential for expression. The spiritually transformative experience itself is most often very positive. Only about 1% of all experiencers report a negative experience, however with support, they are able to realize the positive value of the negative experience: much like a bad dream that when looked at in the light of day provides clarity and understanding. The negative side-effects of STE’s for an experiencer is the response they receive from their families and community. When not supported, experiencers feel unseen, unheard, misunderstood. These responses can increase the onset of depression, self-deprecation, negative self-talk, anger at God, feelings of powerlessness, helplessness, and suicidal thoughts. Kundalini awakenings, quite often are accompanied by sensations of bliss and ecstasy. These awakenings can be accompanied by krias – energy holdings that can sometimes feel painful. With the support of energy and body workers these painful episodes can be minimized or completely eliminated. However, it takes other forms of support to help integrate these experiences in to one’s everyday understanding of life. Though some people experience one STE only, it is not uncommon for experiencers to have numerous experiences – some people report having hundred or thousands. I myself have experienced hundreds over the course of eight years. I’m super glad to have had ACISTE’s presence in supporting me through the integration process. The phenomenon of the Universe is far more vast than we have any language for. It is estimated that only 5% of our reality is in form; 95% is unseen and unacknowled in it’s presence and importance in our reality. Most individuals speak about the ineffable qualities where there are no words to describe the experience. One experiencer shared an experience when, after going to bed and turning out the lights, a shimmering, sparkly formless being emerged close to the ceiling above her bed. The sparkles were enchanting. She reached up into the sparkles and her arms were immersed in the goo, as she called it. She felt Love when her hand were inside the goo. She reported is was an exceptionally delightful experience that she didn’t want to stop. However, her need to go to the bathroom necessitated that she remove her hands from the goo and head to the toilet. When she returned, the goo had disappeared. This happened for her a second time as well. Why Do People Need Support? Even though over 60% of the world’s population experiences some form of STE’s in their lives, so many of us poo-poo these experiences. We discount them – our own and others’ experience. We often pathologize the experiencer, and too often they end up under psychiatric care, in hospitals, misdiagnosed and medicated. Most people who have STE’s do not experience comfort or support from family and friends. They feel isolated from their partners, their community and even their children. Separation or divorce can occur because the experiencer or their partner do not have the capability to accept and validate the experience. Their religious or cultural context doesn’t allow for acceptance. Getting labeled and ostracized leads to the dismantling of relationships. Our religious upbringing, especially here in the West, also influence the degree to which someone will share their spiritually transformative experience. Some religions and spiritual traditions believe that it is demonic invasions that has these experience occur; that it is a sin to have these experiences, or to believe that the experiencer has the capacity to see heaven, God, angels and more. Experiencers are often cast out of their community with no place to go to feel support and connection. It is interesting to note that many of the Eastern religions and philosophies do support the process of engaging regularly with STE’s. Though therapeutic assistance can benefit the experiencer, quite often it is not the experience itself that is pathological, but the experiencers lack of understanding of the whys and wherefores of such phenomenon, as well as being with their communities negative response to them. With supportive and educated listeners, like those trained by ACISTE, each individual can develop a healthier relationship with themselves and their reality on this Earth. After attending my first ACISTE Conference in 2014, it was obvious to see that STE’s are normal phenomenon within our reality as human beings. Because most of us do not reveal our experiences for fear of being invalidated and rejected, we keep them to ourselves, sometimes denying that they ever happened in the first place. The importance of the work of ACISTE cannot be underestimated. Their mission is to train mental health practitioners – Psychiatrists, psychologists, social workers, counsellors, spiritual guides and life coaches to support and empower experiencers in the process of integrating their experiences into their everyday life. Experiencers report their deep desire to have someone who will listen and hear them without judgment and without fear of retribution, rejection, and without shame and guilt. Practitioners supporting experiencers need to educate themselves on the fundamental challenges an experiencer may have. They have to assess their own ability to work with this specific population. The families of experiencers also need support and education in order to assist their loved ones through this process. Parents need to validate their child’s experience. They need to provide comfort and support to the child, so they do not feel invalidated, weird, sick or crazy. Seeking support for yourself and your child through counsellors, coaches, spiritual guides can me very helpful. Scientists say that we really only understand maybe 4% of the Universe. That means that 96% is still a mystery to even the most curious and pragmatic scientific thinkers on the planet. Allowing an open and accepting orientation to life as it unfolds for us, for our friends and family will contribute in significant ways to the evolution of consciousness in one individual and in all of us. For me, the ACISTE Conferences are one of the most significant events related to educating ourselves about not only the experiences people are having, but the opportunity to train to work with these individuals. If you’d like more information about this training or trainings for Therapists, Psychiatrist, Ministers and Spiritual Guides, please go to ACISTE.org, or email me, Dr. Rosie Kuhn at rosie@theparadigmshift.com.